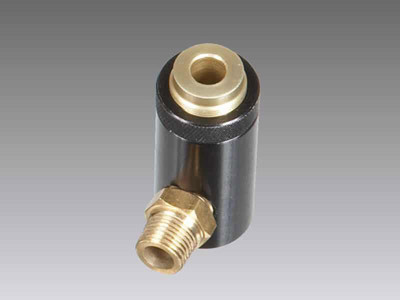 Superior designed Air Jets reduce compressed air consumption and noise levels while maintaining laminar flow for strong blowoff. 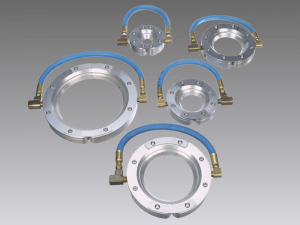 Air Movers or Air Amplifiers are annular units that entrain air from the back as well as downstream and are excellent flow amplifiers. 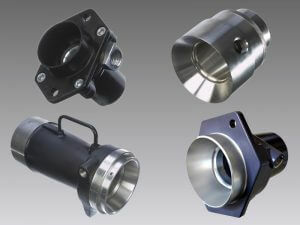 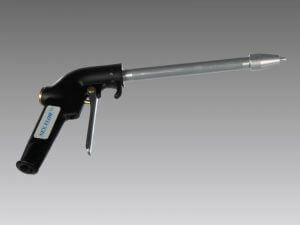 Air Knife Systems utilize compressed air for industrial blow off and cooling applications. 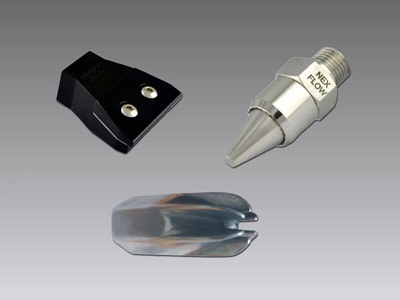 Nex Flow™ Air Nozzles have traditionally come in a cone shape and they are quite efficient converting pressure to flow. 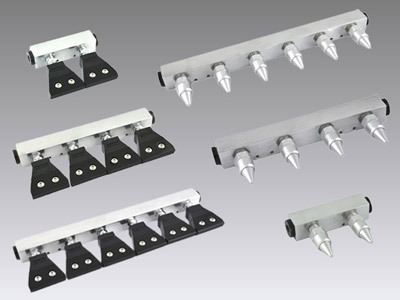 Manifold Systems combine the Nex Flow Air Edgers and Air Nozzles in combinations of two, four and 6 items for blow off an cooling applications where air knives may not be applicable and where a set length of blow-off is required. 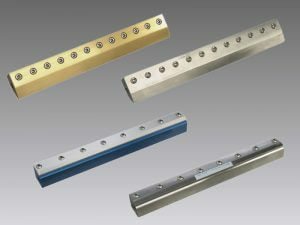 The Nex FlowTM’s Ring Blade™ Air Wipe produces an even 360 degree blow off around the part, light in weight and compact.